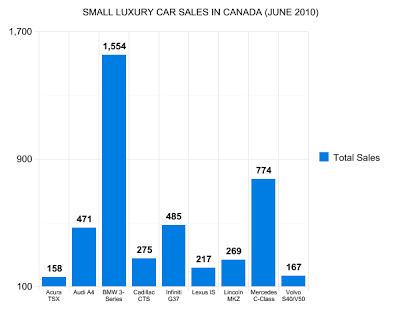 The BMW 3-Series was shining bright last month, becoming Canada’s 15th-best-selling car in June 2010. 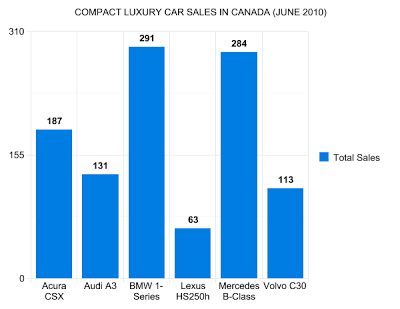 Mercedes-Benz made it appear as though the gap was closing in May, but BMW spread things wide open in June. Way down the list of small/entry luxury cars is the Lexus IS. Ranked 7th in its class in June, the IS is more like the 3-Series than some of the 3-Series’ other rivals in offering sedan, convertible, and high-performance versions. It doesn’t seem to matter, the IS is not one of Lexus’ well-known nameplates in Canada. Nor is the HS. Far more attractive to hybrid-conscious Americans, the HS250h appeals to Canadians about as much as a winter vacation in northern Russia. 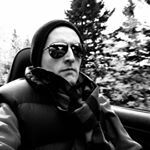 If you want a good compact luxury car, look at any of the other offerings which entice with a better blend of efficiency, power, and looks. 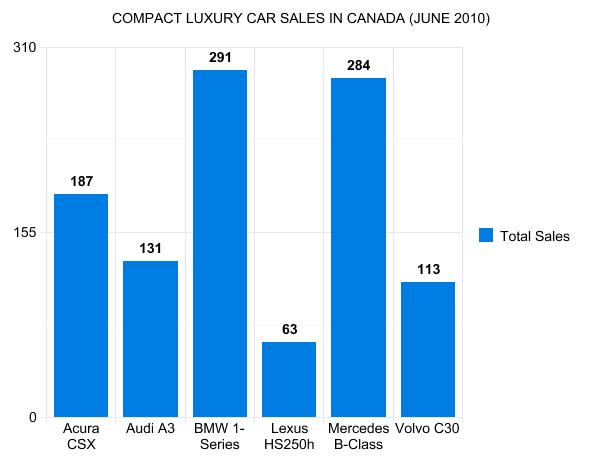 Other than the Lexus HS, which wasn’t on sale last year, and the Volvo C30, which increased June sales by 1 unit, every compact luxury car on sale posted declining sales in June 2010.